JT IRREGULARS: "WigWAG Presents: News with a twist!" We might be inspired by the stories of the day, the tabloid at the checkout counter, gossip in our ears or a reader's tip in our email. If it strikes us as a little bit off, a lot of silly, positively preposterous or reveals the absurdity of our present situation with the president, it’s WiGWAG. News with a twist. 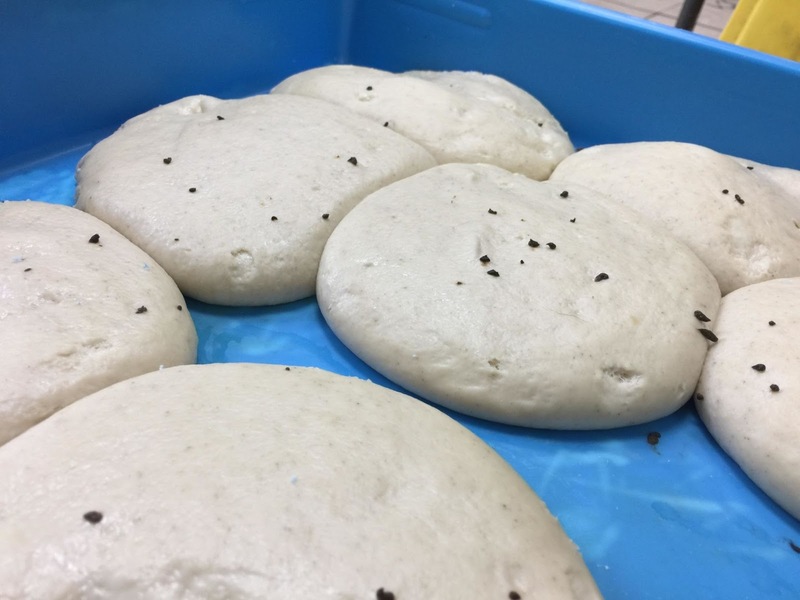 Health officials investigating reports of “excessive rodent activity” at a Domino’s Pizza in Johnson City, Tennessee, found an unusual topping in 14 trays of dough: rat droppings. The inspection was prompted by a photograph of the dough that went viral after it was posted on Reddit. Tom Jackson — the self-deprecating, style-challenged retiree who won fans’ hearts on the first episode of the Queer Eye for the Straight Guy reboot — recently remarried his ex-wife. Jackson, who warned the Queer Eye makeover team that “you can’t fix ugly,” said the boost in self-esteem that he got from his experience on the show led him back to the altar with the love of his life. Mazel tov! The general counsel of Western Michigan University’s Cooley Law School is objecting to mockery of the school. It all began when Politico revealed that Cooley is the alma mater of sleazy Trump attorney Michael D. Cohen. But the school’s reputation was already less than golden. A law school watchdog group ranked it No. 1 on its list of “the 10 least selective law schools in the country.” Nationally, about 75 percent of law school grads pass a bar exam on their first try, but fewer than half of Cooley grads succeed. Last year, the school had to go to court and fight for accreditation from the American Bar Association. The popularity of craft brews has taken a toll on Budweiser, with U.S. sales falling 1.3 percent during this year’s first quarter. Fortunately for Anheuser-Busch, sales of Bud are booming in India, Paraguay and South Korea, leading to an overall sales increase of 2.5 percent. Five cast members of the original Avengers movie celebrated a decade of togetherness by getting matching tattoos. Only Kenosha native Mark Ruffalo took a pass on the milestone marker. 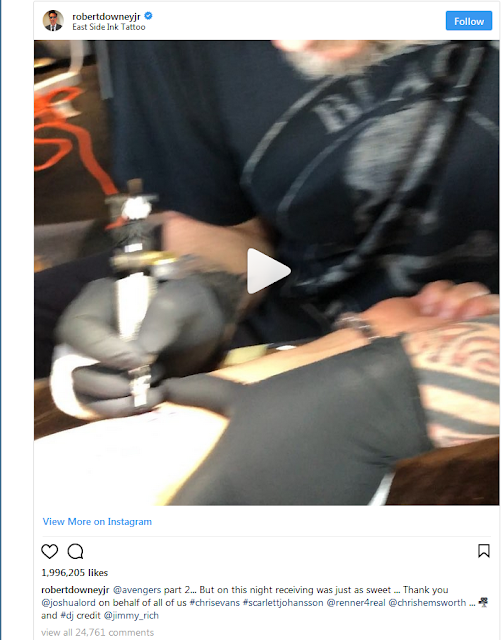 Robert Downey Jr., Chris Evans, Scarlett Johansson, Chris Hemsworth and Jeremy Renner are sporting the discreetly sized body art. Police in Leicester, Pennsylvania, arrested an alleged shoplifter by matching his fingerprints to a print left behind in Play-Doh. The man had tried to neutralize anti-theft devices in a Walmart store by covering them with child’s clay. The attempt failed and when the devices went off, the man fled. But he left his print in the Doh. A forensics lab made the match. The Palais du Tokyo in Paris recently held a special showing of the exhibit Discord for a group of nudists. The contemporary art museum arranged for the naked viewing before regular hours on a Saturday. The event was part of efforts by France’s tiny nudist community to encourage acceptance of clothes-free activities beyond just the beach. A nudist restaurant and park also opened in Paris this year. A Fond du Lac man ate his 30,000th Big Mac earlier this spring. It took Don Gorske 46 years to reach the milestone. He told WBAY-TV he’s eaten a Big Mac most every day since May 17, 1972 — and he’s got the receipts to prove it. We know you’re thinking of Super Size Me. Well, Gorske’s cholesterol and blood pressure are normal and he weighs less than he did in 2011, when he ate his 25,000th Big Mac. An Iowa man says his dog shot him in the leg while they were roughhousing. Here’s how it happened: The man — wearing a gun on a band around his belly — was on his couch, playing with his pit bull-Labrador mix. The man tossed the dog off his lap. The dog bounded back, hit the safety on the gun and stepped on the trigger. The Nevada Highway Patrol reported a semitrailer carrying $800,000 worth of dimes hit a guardrail and spilled thousands of coins on the side of an interstate highway outside Las Vegas. Troopers set up a perimeter so the U.S. Treasury Department’s money could be collected. The semi’s spill was larger than the biggest slot machine ‘s payout ever. A Chicago man put in for a change-of-address with the U.S. Postal Service last October — but not for himself. Seems the man, who now faces federal prosecution, changed the address for the UPS headquarters in Atlanta to his North Side apartment, where he began receiving deliveries. Prosecutors allege he deposited more than $58,000 in checks intended for UPS. This time of year, lots of news releases drop into our email offering advice to graduating seniors and other young job-seekers. Anyone looking for work might consider this advice from “corporate culture expert” Piyush Patel: “Use all your senses during the interview. What does the office conversation sound like? Do the office areas smell like food? That likely means that people don’t have time to take breaks and eat at their desks.” Patel also says it is vital to sniff around the restroom during an interview visit.